Welcome to Glacier View Condo Suites! 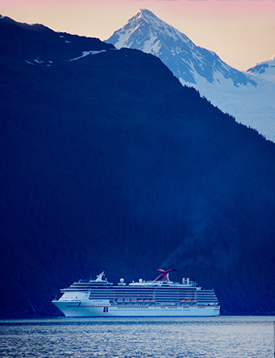 Stunning views of Alaska from your private suite. Penthouse suites featuring lofty panoramic views of ancient ice blue glaciers, gigantic cascading waterfalls, snowcapped mountains, wildlife and the pristine waters of Prince William Sound. Two-bedroom condo suites with full kitchen and dining areas. Located in the historic Begich Boggs Towers beneath the shadow of Whittier Glacier. Our suites provide a grand view from a vantage point 14 stories above the rail and cruise ship port of Whittier. This a perfect location to use as a base while you explore Prince William Sound!